Was planning on making more cold processed soap, for soap on a rope, but being sick put me behind schedule . . . So, I dug through my "unmentionable" drawers and came up with some lovely scented handcrafted soaps to use in place of my own homemade soap! My inspiration for these soaps come from my early teen memories, and a wonderful shop that moved into our little town. It was called the Quaint Shop and it was filled with old fashioned sticks of candy ~ blueberry, butterscotch, root beer, lemon . . . handmade soap balls, candles, antique dishes, and old fashioned reproductions. I loved wandering through, stopping to smell every scented soap and candle. Back then a small soap ball was $1.00 and I loved buying them for my Momma. 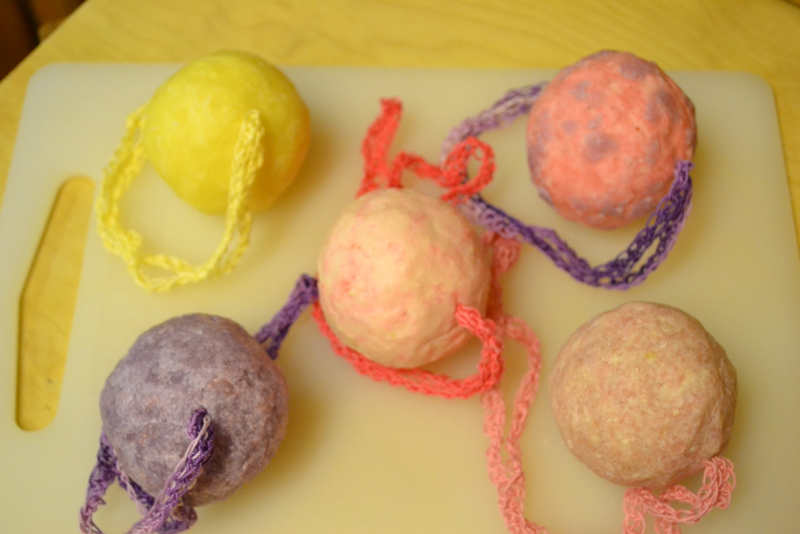 I have taken the homemade soap ball idea, enlarged the ball, crocheted pretty colored "ropes" for each one, and created my version of Soap on a Rope to go with my Homemade Wash Cloths. The best part? These are so easy to make! Chemical-free soaps ~ such as scented glycerin soap or artisan soap or your own homemade soap. 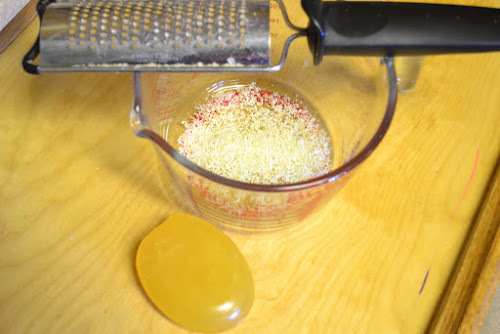 Grate enough soap to equal 2 cups of shavings. 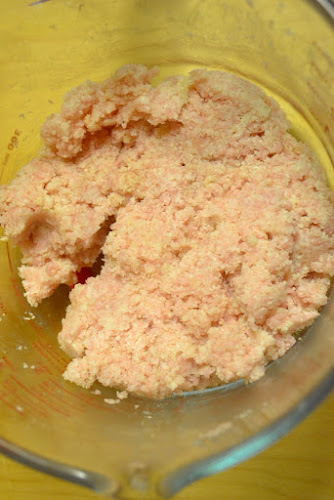 To each 2 cups of grated soap, add 2 tablespoons, plus 1 teaspoons of distilled water. 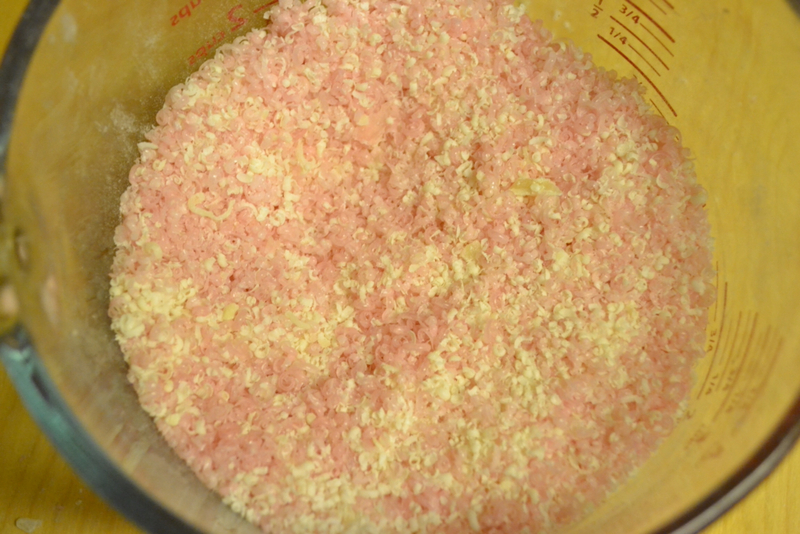 Stir together to distribute water evenly throughout soap shavings. 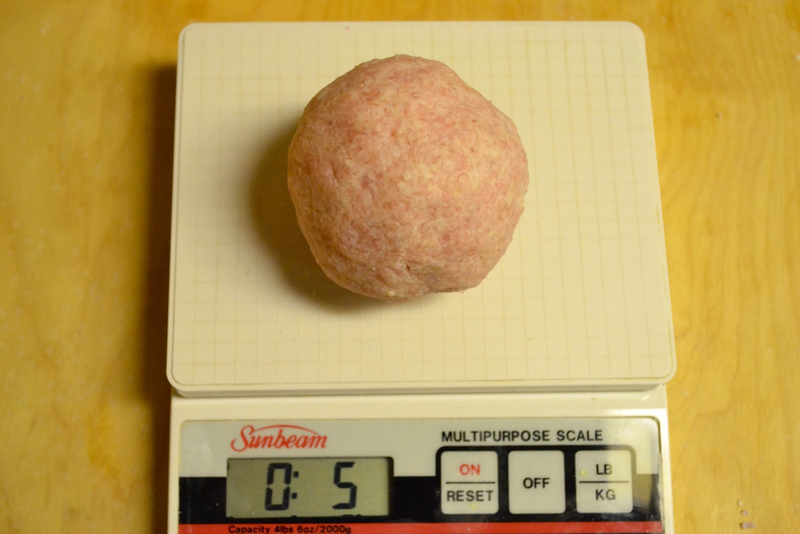 Pack soap together forming a hard round ball (like packing a snowball). Weigh ball - I made all of mine 5 ounce balls. 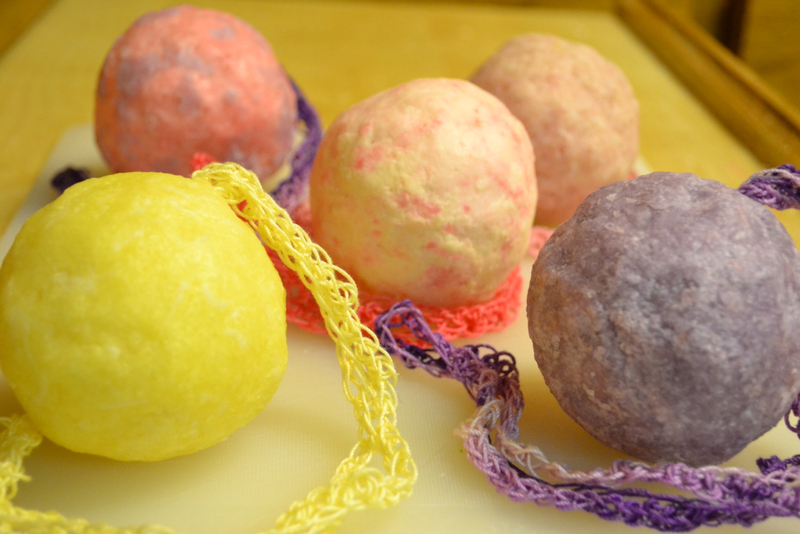 Run skewer through just to the center of soap ball. 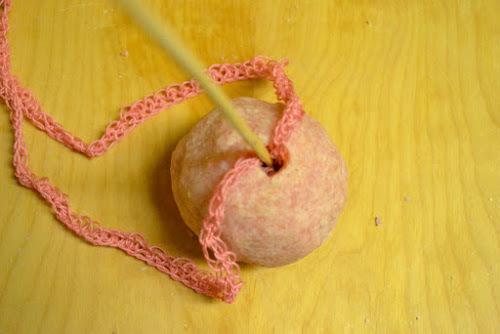 Take knotted end of rope and push into soap using skewer. 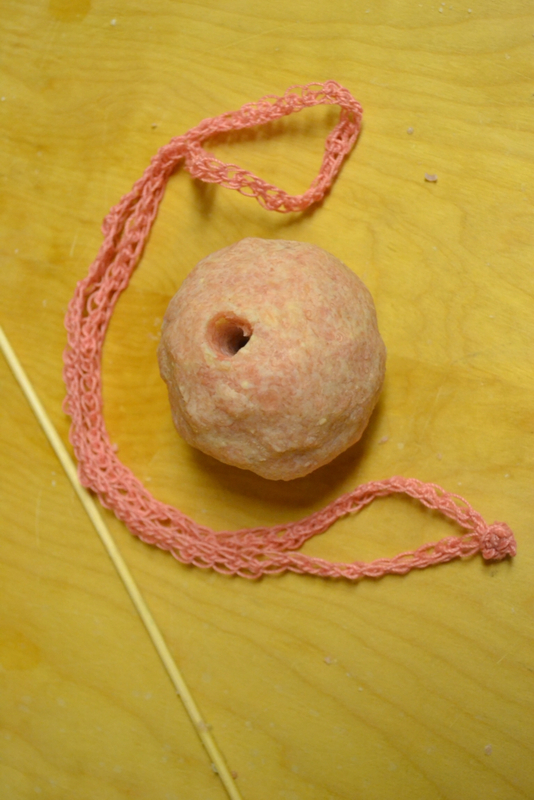 Pack soap tightly around inserted rope. 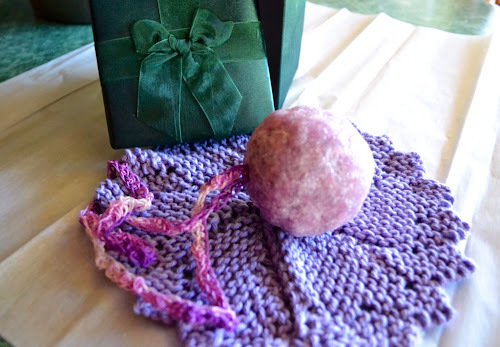 Pair with matching, homemade wash cloth and you have a lovely gift! You know, this is my first Christmas writing a blog and I'm finding the "secret" Christmas presents I'm working on, which are taking up most of my time, can't be posted because most of my family reads this blog. Thank you for your understanding! Hope you have a bit of time for some "homemade" Christmas of your own! Feeling very merry and incredibly bright . . . Over at Julie's!!! I love these! Did you knit or crochet the ropes by hand? And where could I find how to make a washcloth like these? Also, did you use a cotton yarn of something else? Thanks! Sorry I just came upon your questions and comments . . . Sometimes too much life gets in the way! My Grands loved these! I crocheted the ropes using Aunt Lydia's #3 Crochet Thread. I thought it would handle the water better and stay soft. The washcloth was made with cotton yarn and you can do a search on my blog to find these "with a Little Faith Round Washcloths"